Google has snatched up a cloud monitoring company that’s focused on Amazon Web Services and experts speculate Amazon might make a similar move. Google officials said this week in a blog post that the cloud vendor acquired Stackdriver Inc. for an undisclosed sum. Stackdriver “allows customers to have more visibility into errors, performance, behavior and operations,” according to the post. Google will support existing customers of Stackdriver, most of whom are Amazon Web Services (AWS) customers, but the intention of this acquisition is to integrate Stackdriver with Google Cloud Platform. Stackdriver, based in Boston, also monitors workloads running on Rackspace; Google will support them as well, officials said. Stackdriver’s agent-based software can detect host contention, cloud provider throttling or degraded hardware, among a number of other metrics. 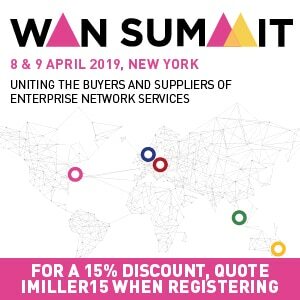 The company’s software as a service-based data analytics also incorporates event correlation for root-cause analysis and can be used for policy-based automation. Cloud monitoring metrics, which were essential in the server virtualization world, such as CPU and memory use on a given host, are much easier to gather in comparison to Stackdriver’s more advanced metrics and don’t go far enough in the cloud computing world, said Bernd Harzog, CEO at APM Experts, an application performance management advisory firm in Alpharetta, Georgia. 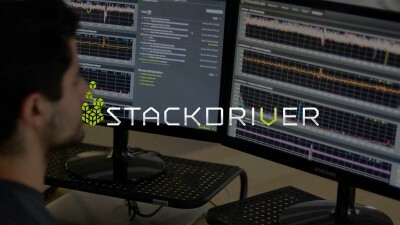 Stackdriver and its competitors are part of a new wave of cloud monitoring and analytics companies that use operating system agents to monitor the effect of applications on the infrastructure and vice versa. Agents used to be something to avoid in the monitoring world, but have made a comeback in the cloud, Harzog said. There are still dance partners left in this space for other cloud service providers who want in on these features, Harzog added. Companies that could see potential suitors soon include AppEnsure, BlueStripe, AppFirst and ExtraHop. AWS already has CloudWatch, a service that can automatically make changes to the resources a customer is monitoring based on policy. For example, a customer could use CPU utilization and storage I/O data to stop underutilized instances or to launch additional instances to improve performance. Customers of CloudWatch can also build custom metrics. It’s also not necessarily in character for AWS to make acquisitions. However, some large AWS shops have said CloudWatch doesn’t go far enough and industry experts say AWS may make a move here after all. PreviousSoftware as a Service (SaaS) – What is it Anyway? NextVirtualization Benefits: Worth the Investment?